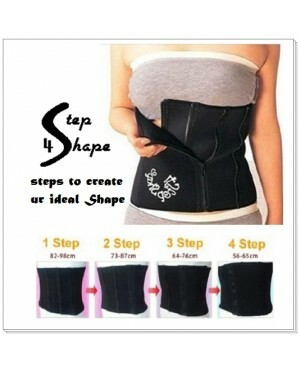 4 steps Waist Slimming Belt. 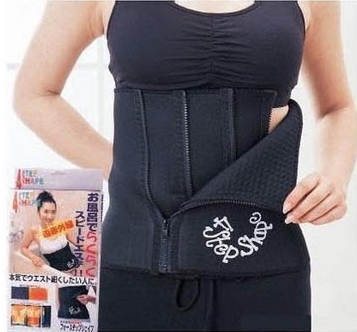 Wear it while watching your favorite TV program, exercising and let your flab simply melt away. 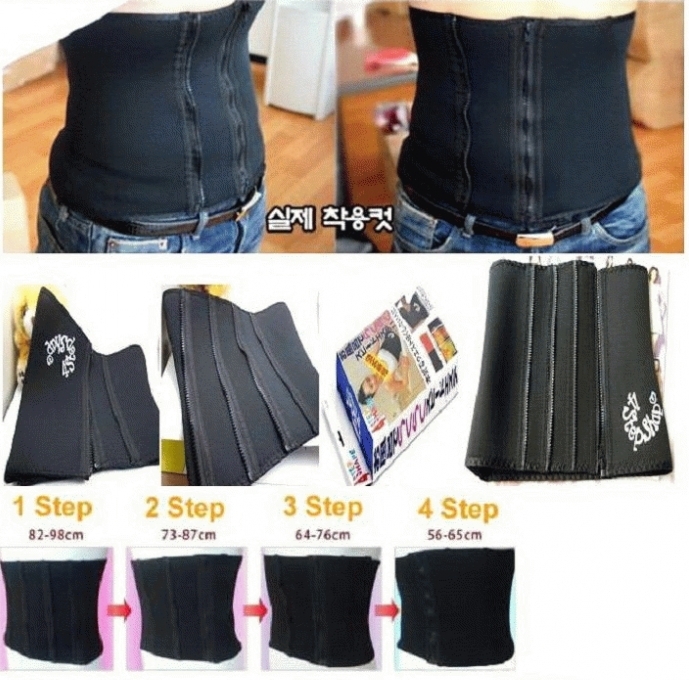 Can also be used as a girdle/corset to make a perfect figure. 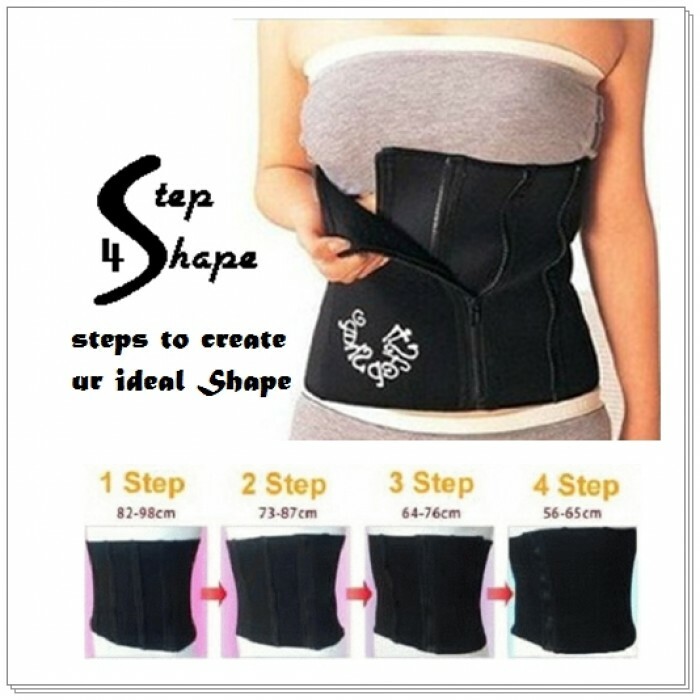 Increasing the pressure of the waist area, protect your waist from the fat accumulating. 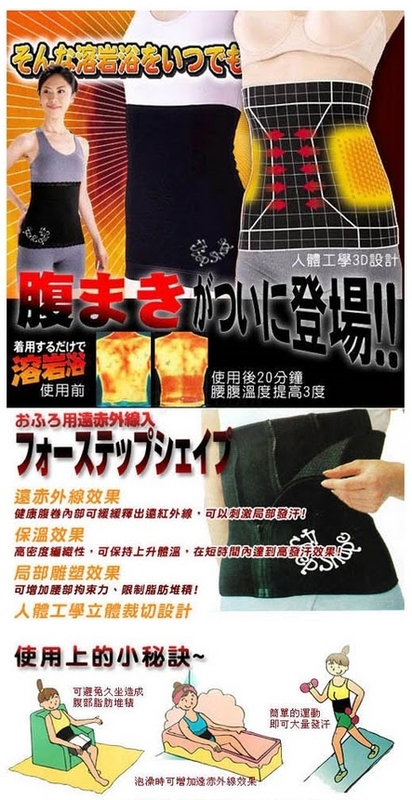 Using human body mechanics, to let you feel comfortable when you wearing it. 1. 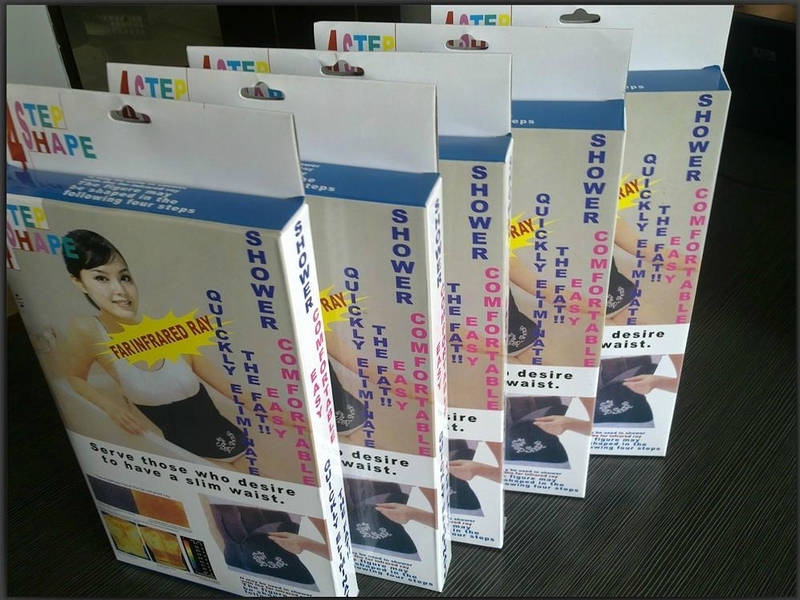 You can use it when you taking bath, it will help to increasing the Far Infrared Ray's effect. 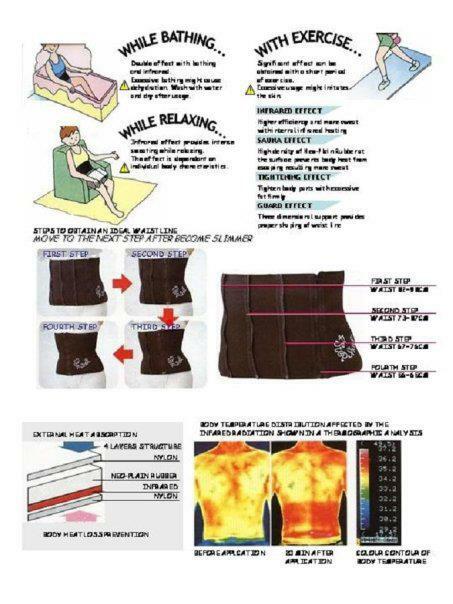 protect your waist from the fat Accumulating.